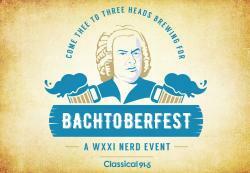 Classical 91.5 hosts Bachtoberfest, Octoberfest with a Bach twist! 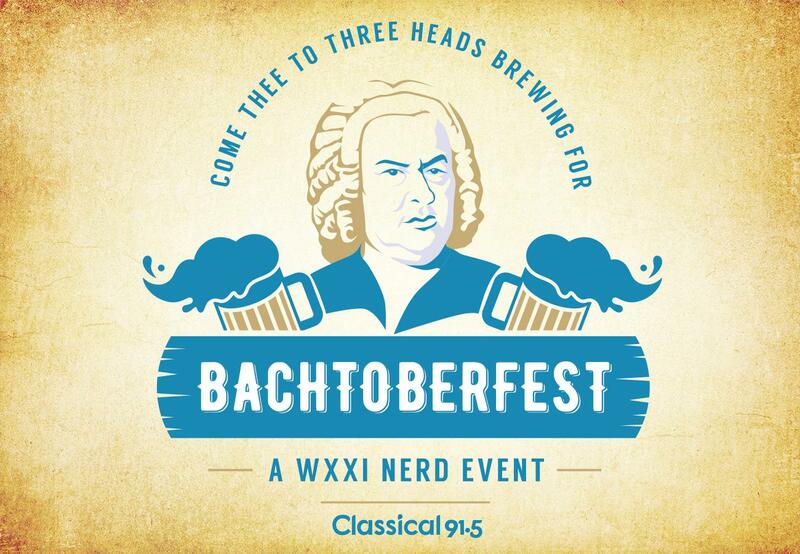 Join us at Three Heads Brewing Beer Garden (186 Atlantic Avenue) on Saturday, Octboer 6 from 2 p.m. to 5 p.m. for an afternoon of Bach, great beer and Smokin’ Hot Chicks BBQ! Sing, along to traditional Bach chorales with new words, enjoy classic German brass music by the Oktoberbones (Hohenfels Trombone Quartet), enjoy fun tunes by the Urban Eagles, and join the Flower City Beer Choir Band for some old-fashioned beer songs. Cover charge at the door is $5. Click here to see the selection of seasonal craft brew offerings available for purchase at Three Heads.